The University of Stirling is hosting a programme of events later this month in celebration of Japan. Members of the community, students and staff are invited to join in a wide range of activities from Tuesday 24 February. Events include language classes for beginners, Sushi demonstrations and workshops ranging from karate to origami. There will also be a chance to listen to a talk by the Consul General of Japan as well as an evening of Japanese poetry. Displays on throughout the week include trees from the National Bonsai Collection of Scotland and photographs from the JET (Japan Exchange and Teaching) Programme. Japanese film ‘From Up on Poppy Hill’ will be screening at the macrobert arts centre. On Tuesday 24 February, the University will welcome the Consul General, Mr Hajime Kitaoka, to deliver a Keynote Address, ‘Scotland as I see it’. 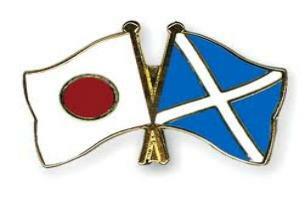 In this, he will discuss the Japanese views on Scotland and its people. A ‘Taste of Sushi’ and drinks reception will also be held, courtesy of the Consul General. The University has well-established links with Japan, with many student exchanges, summer schools and research collaborations. Japanese students will also be contributing to Japan Week by helping to run workshops along with the artists and experts. The University of Stirling is delighted to be hosting Japan Week, now in its third year, to celebrate the importance of Japanese culture and its links with Scotland. Kerry Bryson, Director of Development & External Affairs at the University of Stirling, said: “Japan Week provides a fantastic opportunity for the important relationship between Japan and the University to be promoted, whilst giving students, staff and the community a chance to get involved and learn about Japanese culture. “Each year Japan Week enables us to develop our links with international partners and communities, opening up a variety of opportunities to learn about different histories, traditions and cultures.